Windows 10 is being promoted as a cure for several security woes, and while it does hold up against zero-day attacks, there are still several weaknesses. 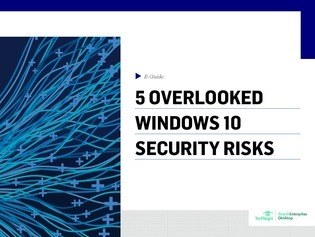 This exclusive guide discusses five Windows 10 security issues that are easy to overlook. As the world increasingly transitions toward W10, ensure that your organization is protected.